From Paris, it's a subway to a train to a shuttle bus, and takes about 2.5 hours door to door. There's a long line to get in and we are, frankly, so hungry, we instead get some take-out food and end up picnicking in the parking lot out front. This sounds worse than it is, as it may be one of the prettiest parking lot spots I know of, and the part we sit in feels almost like an extension of the garden (almost). Sue's girls and mine draw some flowers in the garden, because if you're not inspired to do some sort of art here, really there's nothing we can do for your artistically-dead soul. There's the bridge, a smattering of water-lilies, and the gardens. And while it doesn't look much like Monet's famous water lily paintings, which he did while he lived here from 1883 to 1926 (when there were more lilies and no tourists), it does evoke Monet's paintings in general. It must been that much lovelier when it was just a small town with a charming house and a colorful garden, as opposed to a major tourist site. But alas, everything that draws in tourists gets Disneyfied and commercialized eventually, if not sooner than that. Nénuphar, which means "Water Lily", is made from raw cows' milk and then coated in dried tarragon flakes. It hails from the Pays de la Loire region, specifically the department of Loire-Atlantique. 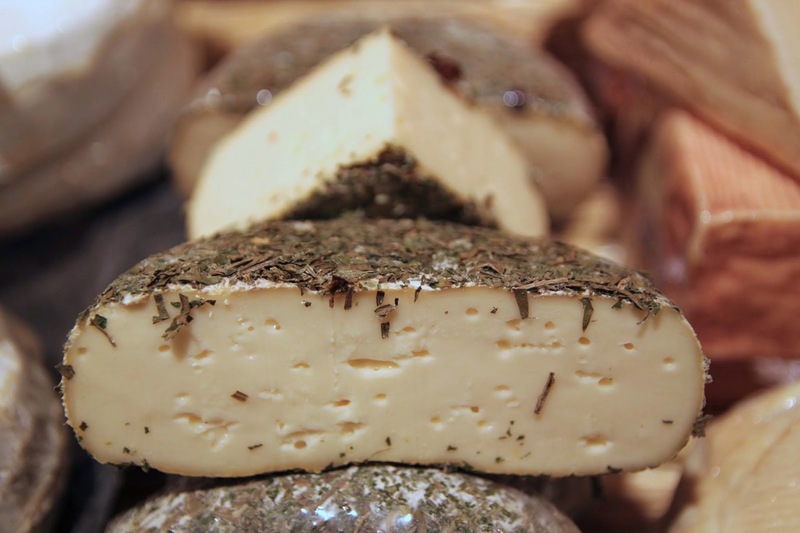 The sample I buy is crafted by cheesemaker and seller Pascal Bellevaire. It's a dramatic looking cheese, truly, and one that looks like a piece of art. But it doesn't really come through on its promise. The texture is not as creamy as I would hope and, in truth, seems a bit rubbery. 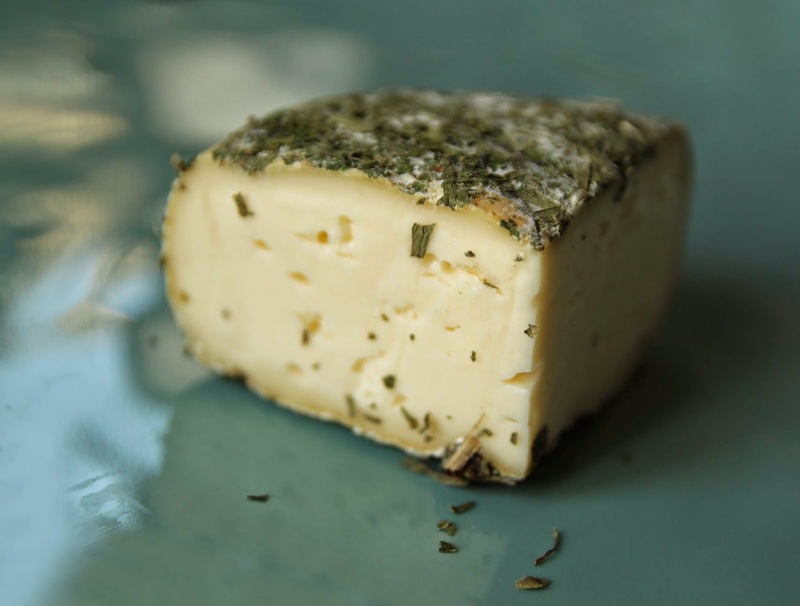 The flavor of the cheese is mild, even with the herbs and doesn't really taste of much except dried tarragon. Since a nénuphar is a water lily, Nénuphar seems like the obvious cheese choice to pair with a story of Monet's water lily gardens. And with the way the light is reflecting on the platter, doesn't this photo look something like an impressionist painting?